...for my friend still up in that Skyway. 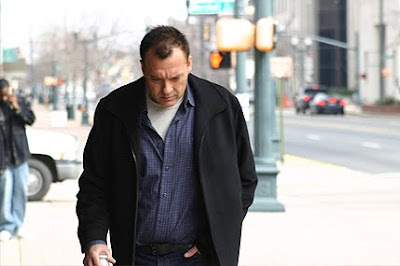 Recently I had the chance to watch and write on a terrific new modern noir starring Tom Sizemore and Sasha Alexander called The Last Lullaby. This incredibly effective film is the first feature from a very talented young filmmaker named Jeffrey Goodman. Jeffrey has been gracious enough to take part in this Question and Answer session for Moon in the Gutter that I hope everyone will read and enjoy. Those of you who have already had the chance to see The Last Lullaby know that Jeffrey is a major talent to watch, so I hope this interview on his background, influences, and experiences making his first film will prove interesting. For those who haven't seen the film, I hope it will cause them to search it out as it is a real winner. 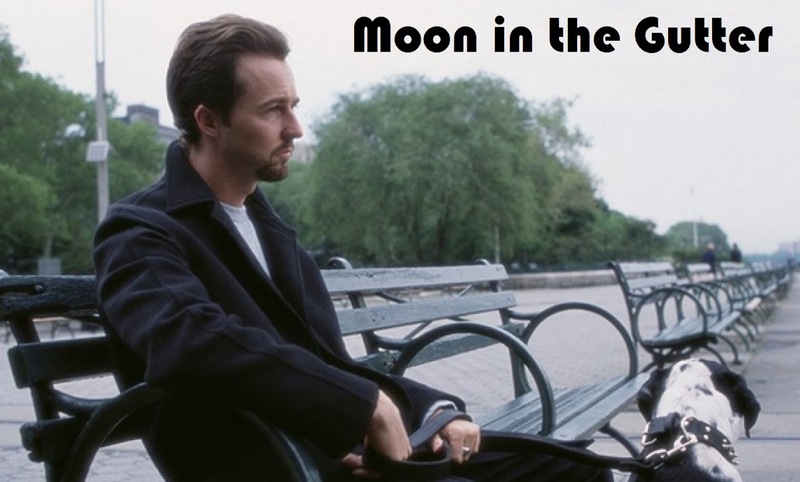 MOON IN THE GUTTER: Can you tell us a bit about your background and how you first became interested in film? JEFFREY GOODMAN: It really happened my third year of college. I was on a program that year in France. And it was the first time I was exposed to Godard and then to a slew of other things. France is always an incredible place to be a cinephile. 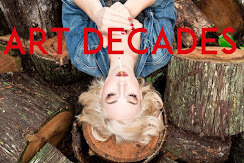 But that year, 1994-1995, the energy was particularly potent. Tarantino had just won the Palme D'Or for Pulp Fiction and all of 1995 the French were celebrating the 100th anniversary of their baby, the cinema. That energy, that year, got me in deep and has seemed to engulf me ever since. MITG: Who were some of the filmmakers who inspired you to become a director, and whom among your peers do you continue to get inspiration from? JG: My favorite contemporary is probably Andrew Bujalski. 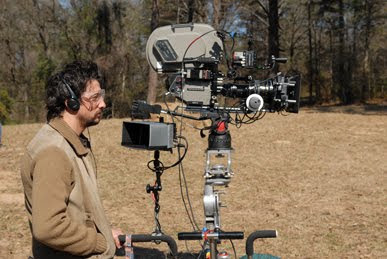 But I'm also a big fan of David Gordon Green. The guy that made me want to become a filmmaker was Godard. But the other guys I really love are Michael Mann, David Lynch, Howard Hawks, Takeshi Kitano, Abel Ferrara, Michael Cimino, Jacques Becker, Orson Welles, Abbas Kiarostami, Carl Theodor Dreyer, Raoul Walsh, Fritz Lang, Leos Carax, Jean Eustache, George Cukor, and Robert Bresson. MITG: Tell us a bit about how The Last Lullaby came to be and lead us through the process on how a lower budgeted independent film gets made. JG: Patiently. And definitely with a little luck. I first made a short film from Max's story. And that eventually led to us expanding it into The Last Lullaby. I quickly realized that to make Lullaby the way I wanted, I would probably need to raise the money myself. And so, after living in Los Angeles for a little over seven years, I came back to my hometown of Shreveport, LA. I put a business plan together and fortunately was able to find the financial support. I have 49 investors in all, 48 of whom are from the Shreveport area. MITG: I was really impressed with both the look and sound of the film. Can you talk on your behind the scenes collaborators on the film? JG: Once again, another area where I was very fortunate. Granted, I had very clear ideas on how I wanted the film to look and sound. But, without the right people in the key positions (Cameraman, Production Designer, Sound Mixer, and Composer), there's no way I could have accomplished these things. Richard Rutkowski (Cameraman) -- His work on the movie Blackbird convinced me that he had the right aesthetic. But then when I mentioned Killer of Sheep and we had a conversation about it, I knew I had found my man. Richard's maybe the only guy on set that worked harder than I did. Elizabeth Mickle (Production Designer) -- Beth had recently done Half Nelson. But what really impressed me was the long phone conversation we had about All the Real Girls. We totally connected, and I knew she knew what we were after. Scott Clements -- Dave Koplan, our producer, found Scott. And he did an amazing job. For a shoot where we were flying from one location to another, the sound was pristine. To have a guy deliver sound like that as you enter post is truly one of the greatest gifts someone can give you. Ben Lovett -- Probably the single most difficult person to find for the film was our composer. Every reel I listened to sounded too big or too symphonic for the intimacy and feel I was after. Finally, late in the game, Ben's reel came to us. And after the first track, it was clear. MITG: Along with your direction, the thing that struck me the most about the film was the wonderful work of your two leads, Tom Sizemore and Sasha Alexander. How did they come to be in the film and what was it like working with each? JG: We cast Tom first. And really, actually, he came out of a pretty unremarkable process. Once we hired our casting director, Emily Schweber, the first request we gave her was to try to land us a name actor in the lead role. So once Emily was on-board, she immediately called up all the major agencies and management companies in Los Angeles. She told them about the role, our shooting dates, and the amount of money we had to pay the actor. Then they generated names that she brought back to us. Tom's name came out of this process. And, as he was already on a short list of mine, I immediately asked her to get him a copy of the script. A few things were really important to me for the role of Price: a. That he was believable as a hitman. b. Was middle-aged. c. Was believable as Midwestern. One of the things that jumped out at me when I first read Max's story was that it was different from most other noir I'd read. It was neither urban (Los Angeles, San Francisco, Chicago, or New York) nor ethnic (Italian or Irish). And so even though we were filming in Louisiana, I really wanted to respect the rural, Midwestern quality of Max's work. Once we had Tom on-board, it was all about rounding out the picture. I knew I was gonna give the film a fairly "invisible style". And that the movie would really hinge on whether or not the audience related to this bond that Price and Sarah had. Emily brought Sasha to my attention, and I was impressed by this fascinating combination of strength and vulnerability she seemed to carry. Both Tom and Sasha were extremely committed to the film and to making their work together ring true and believable. 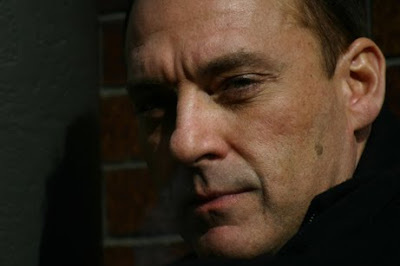 MITG: Some of Tom Sizemore’s personal problems have made some filmgoers forget what a powerful actor he is. He’s wonderful in this role and brings so much damaged humanity to it. Was it exciting for you as a young filmmaker to be working with someone who has worked with everyone from Scorsese to Mann, and was there any hesitation in casting him due to his sometimes-shaky rep? JG: I was very excited to work with Tom. I'm a long time fan of his work and thought he was perfect for the role. Sure, because I raised the money, there was definitely some concern of, "What if he acts up?" But, I had such a strong team (producer, etc.) alongside of me that I finally felt okay taking the leap. MITG: I was really struck with how well you used the score (which is wonderful by the way) in the film, in that you never let it overwhelm a scene. The spare way you used the score reminded me of something like Michael Small’s music in Klute, and it is so refreshingly different from the way most films use music now. Can you discuss the relationship between a score and a film as you see it? JG: That's so funny that you mention the score to Klute. I was actually trying to get my hands on it during the editing of Lullaby as I thought it was close to what I wanted. But it's a really tough score to find. I still don't have it. Think I lost the two or three times I bid for it on e-bay or maybe it's not even available. I can't remember. But to answer your question, I really wanted to use as little music as we possibly could. I was trying to get back to that feeling of The French Connection, Klute, McCabe & Mrs Miller, Shampoo, movies that all let the natural sounds of the scenes drive the majority of the moments. I really wanted to get far away from wall-to-wall music. Ben (the composer) and Philip (the editor) were both very helpful in making this happen. I can't say that there was necessarily a philosophy about when to use the music as much as there was this desire to have as little of it as we could without making things unbearably spare. MITG: The Last Lullaby has been getting a lot of justified acclaim. Has there been any experience in particular regarding a festival or kudo that really stands out to you so far? JG: Any kudo feels great, you know. So much of this process seems to be tall hills and difficulty that the occasional acclaim feels absolutely incredible. Probably the two best moments for me though, as far as this goes, is seeing Sasha win Best Actress at the San Diego Film Festival and Ben recognized for his music at the Brooklyn International Film Festival. MITG: When will the film hit DVD and will it contain any extras? JG: I expect the "first run, limited edition" DVD will be available in the next four weeks or so. We'll be offering this off the film's website and in conjunction with Neoflix, who is also handling the online sale of Ben Lovett's Original Score for the film. This "limited edition" version will just contain the movie. But I'm optimistic that in the future there will be a DVD with special features. There's a good number of people who have been waiting to see the movie and haven't had the opportunity yet. So I thought it was important to go ahead and get a DVD out. MITG: What’s next for you? JG: My next project is with Peter Biegen, one of the two writers of The Last Lullaby. Right now, the project's entitled Peril and is about a young boy, alone and on the run. I've raised the first round of financing for the film and am waiting for Peter to deliver the first draft of the script. I'm thinking of films like Kes, L'enfance nue, Germany Year Zero. I'm hoping to really place the audience in the head space of this young, alienated boy. MITG: I always love to read filmmakers lists of some of their favorite works. Would you care to share 5-10 films that you can’t imagine life without? JG: Films I can't imagine life without. Wow, okay. Pierrot Le Fou, McCabe & Mrs. Miller, Stranger Than Paradise, Shoot the Piano Player, La Chienne, The Shop Around the Corner, Funny Ha Ha, Kings of the Road, The French Connection, and Blow Out. Thanks again to Jeffrey Goodman for taking the time to do this. More information can be found on Jeffrey's official blog. It was a real pleasure, and please seek out The Last Lullaby and keep supporting independent film!